I’ve just moved to this space, so I’ll be republishing a few articles from my old blog. 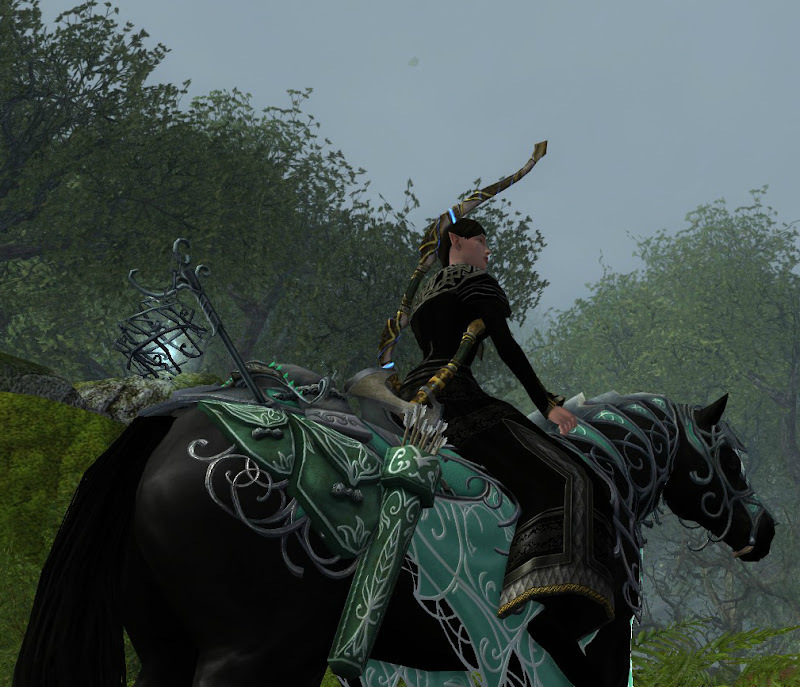 Lhinn may never remove herself from the saddle of this gorgeous steed. She is in love. 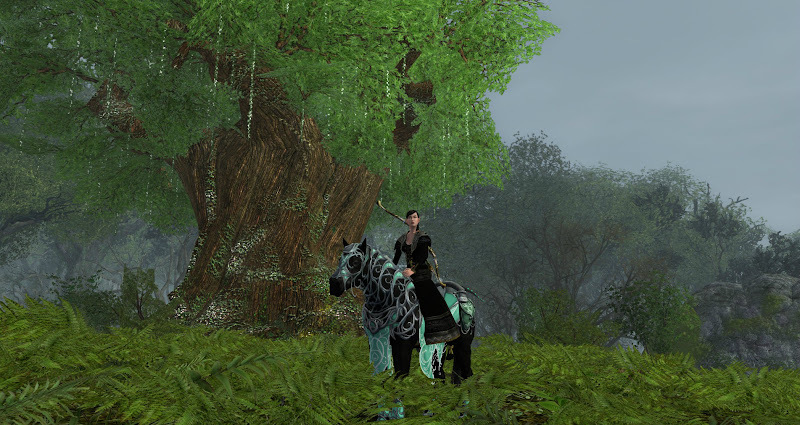 The Rivendell Steed was available for a limited time in the LOTRO store. 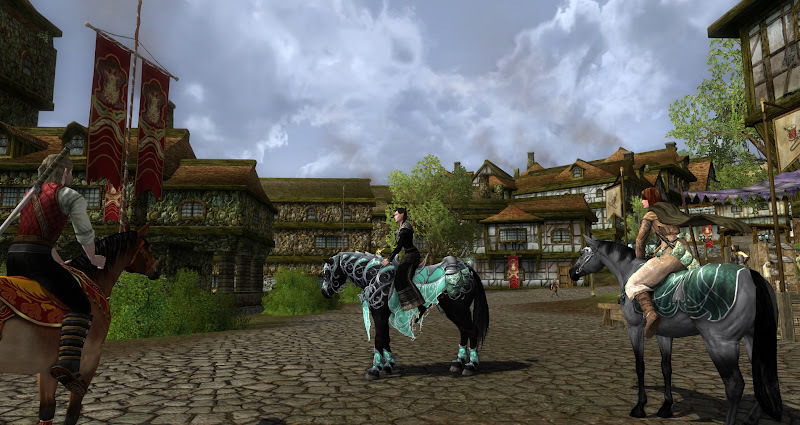 Account wide mount + war-steed cosmetics = 2995 TP or you can purchase it for 1995 per character. The regular mount looks almost exactly like the war-steed in the photos above. It has a rich black coat and the sea blue/turquoise look to the tack. Everything but the accessory is dyeable. This is a 68% speed mount.